OTHER OFFERS ARE ALWAYS WELCOME! Have these games up for trade. Please do feel free to add me on Steam so we can discuss any trade. Unearthed for Shadow Warrior Classic Redux ?? Already own Unearthed. Got it yesterday. But I can trade for your Inside The Gear, The Tiny Bang Story or Meltdown. Added. Shadow Warrior Classic Redux is gone. Please add me on Steam if you're interested. Yes, I am interested in Influx. What do you want in exchange? psichodelya, pressured and jedi academy for castle crashers? Sorry, I don't have Castle Crashers. I am looking for it, though. Yes, interested in some of your games. Added you on Steam so we can discuss. Which of my games are you interested in? Cloning Clyde for Super Splatters? Will you be interested in a Desura key for Nihilumbra? Hello there. Sorry, but I already own Nihilumbra. Do you by chance have any other Steam game? Thanks for the inquiry, but I have only a spare Desura key, sorry. PAC-MAN Championship Edition DX+ All You Can Eat Edition for Not The Robots? 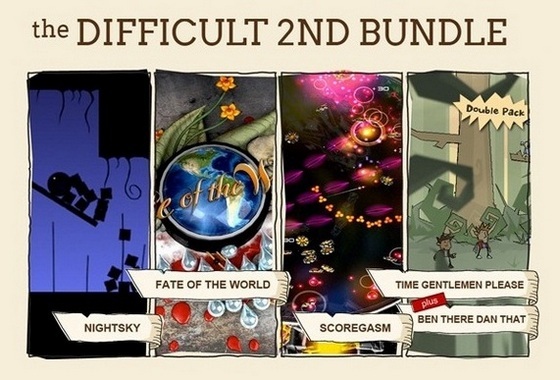 Hello, I am interested in adding 2x indie royale bundles to my desura collection i dont care for the steam games, how much do you value them at? Hello. Do you have any steam game keys to offer in exchange? If not, maybe one cs go key or something? Ok, no problem... Let me know if you change your mind. Got Street Racing Syndicate for your Sonic Adventure DX. ah hey. Sorry. It is already taken. Sorry. Someone just added me and did the trade. It was a different game though. Sorry, but I am not interested in any of those games. If you get anything else meanwhile please say so. FortressCraft Evolved! FOR Letter Quest: Grimm's Journey? Sure! Add me on Steam when possible so we can trade. shadow man for darkness assault? I am interested, add me. How many .07 cards for Houston, we have a problem? Sorry, but I am not interested in cards, prefer steam games instead. Do you have a list or something? Yes, I have a list here. Sorry, I am not interested in any game there. Something here for Houston, We Have a Problem? Sorry for the delay on my reply, but tell me if you're interested in my game for your 'The Deer God'. Plese feel free to add me on Steam anytime. How about Mutant Mudds Deluxe for Viscera Cleanup Detail: Santa's Rampage? I would prefer 'FATE: Undiscovered Realms', if that's ok with you of course. I am sorry, but not really interested in that game. Could do it for your 'Deus Ex: Human Revolution - Director's Cut' though, if you're interested. Sorry, but I can't find anything that I want. Thanks for the offers, though! I'm interested in CrossCode, Check my list thx. I am certainly interested in some games you have, and I think it's easier if we add each other and discuss on Steam. I will add you right now. Both those for tomb raider I, II + III ? I have both games you offered. Do you have any other offers? Hi. Anything here for Life Is Strange ? Sorry, but there's nothing interesting for me. Hi! Something here for Life is Strange? Sorry, nothing interesting for me. Thanks anyway, for your offers! Interested in trading cards for Life is Strange? Hey. That depends. How many? I'm more interested in trading for other games, though. Do you have games up for trade? Unfortunately i don't have any games... anyway good luck trading! Thanks. Good luck getting it as well. What for Life Is Strange - Episode 1 ? Is your "Rise of the triad" the 2013's game? If so, I can trade with that, if you're up to. Sorry i've just trade it, are you interested by another of my game ? "Garshasp: The Monster Slayer", yeah. RPG Maker XP for Tomb Raider 1? Sorry, but I have no interest in that game. Do you have any other games besides the ones in your thread? Sadly no, just bought more keys than I should. I am sorry we couldn't trade, then. Thanks for your offer, though! I am sorry man, but there is nothing interesting for me there. Thanks for your offers though! I am sorry, but nothing really catches my eye. I appreciate your offers, though! Houston, we have a problem for Dark Shadows - Army of Evil? I am sorry, but I'm not interested in that game anymore. Forgot to take it off my wishlist. Tell me if you're interested in your 'Lara Croft and the Temple of Osiris' for it. Abyss Odyssey / Chaos on Deponia / Goodbye Deponia. Those 3 are the ones which I have interest in. Please tell me if you're still interested in our trade. Many thanks for getting back to me, but managed to trade it somewhere else. Will keep an eye out on your list for future trades though. I am sorry, but nothing really catches my eye there. Those are good offers though, thanks! Something here for Viscera Cleanup Detail? Hi. Resonance for The walking dead 1 ? I'm really interested in your 'Oddworld: New 'n' Tasty'. Would you be interested in my WD Season 1 plus one or two more games from my list for that? Nah, sry I'm not interested in this offer. Please get back to me if you eventually get more games though. The Walking Dead or Puzzle Agent 2 for Grow Home? 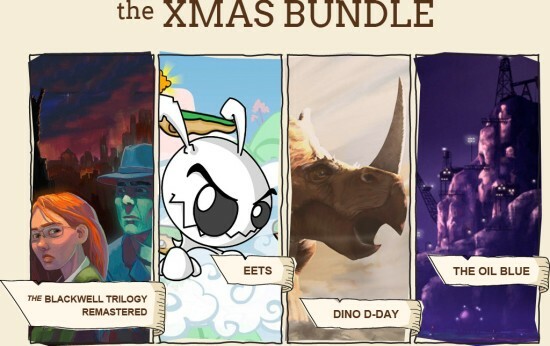 https://www.steamtrades.com/trade/WHHOP/my-games-for-yours any game here you need? Sorry, but I have no interest in any of those games. are you intrested in anything from here ? Sorry, but nothing interesting for me there. Thanks for the offers though!! cards for the tomb raider games? how many? I am sorry, but I am not interested in cards, only steam games. Do you have any more games besides those? Yep i can get any game from the mexican store. Would it be possible for you to buy a cheap game for those four tomb raiders? If it isn't restricted for me, of course. I live in Portugal. I will add you on Steam so we can discuss. I don't think we can make a deal here. I am sorry, but I'm not really interested in any of those games. I might be interested in cards, if you have them. I'm mainly interested in games. I don't have Toren, activated it on my account. What would you offer for Dead In Bermuda though? Do you have any games for trade? Actually i needed both games and found someone that gave me as pair, so maybe next time :) Thanks for reply tho and take care. I have Her Story. Add me.